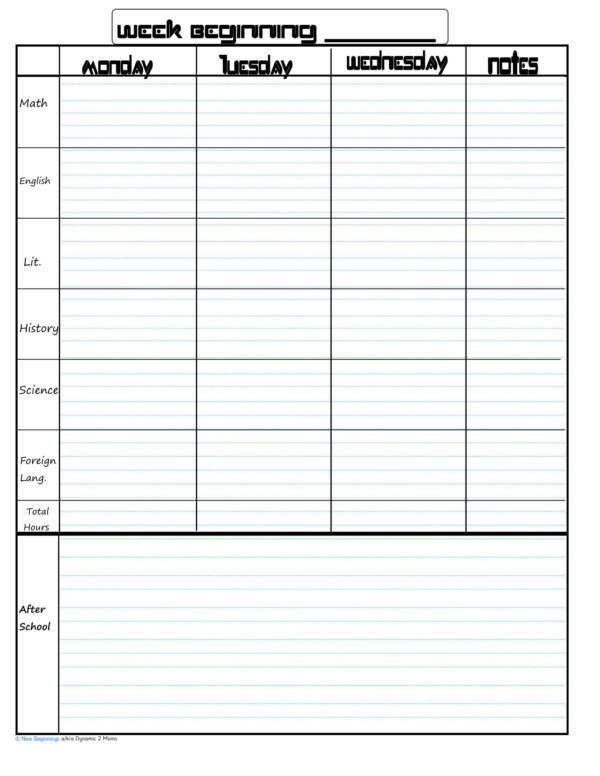 A student planner is a tool or document that is created mainly to help students them manage their time, and be able to keep up with their studies. A study planner allows students to schedule their study activities and provide enough time for them to study on a daily basis. 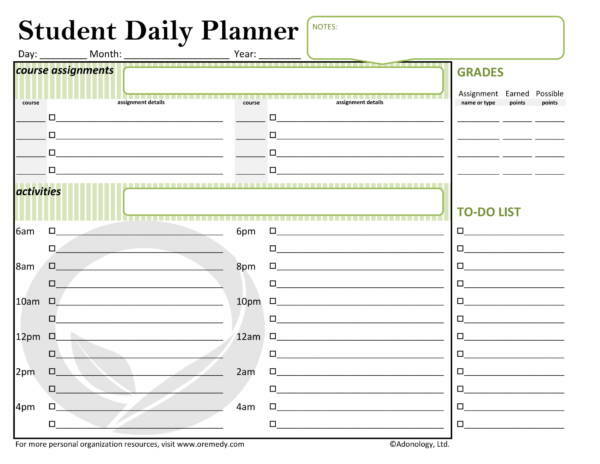 Different study planner templates have been gathered and included in this article so that you may have something to view or download anytime you need it. These templates are absolutely free so you really don’t have to worry about paying anything for it. We have also included useful information, like the uses of study planner templates, how to make them, some useful tips and many more. What Are the Uses of a Study Planner Template? If you think that study planners are just used for studying, then you got it all wrong. In the fist place, it is not even used for studying, rather it is used for managing one’s study time. To get to know more about this tool, here are some of the things that a study planner and study planner templates is used on. Managing study time. Even if going to school means studying, students hardly have any time to study. With all the extra curricular activities, homework and projects they have to do, studying becomes one of the least important priorities. Lack of time is one of the culprits but lack of time management is the main culprit. 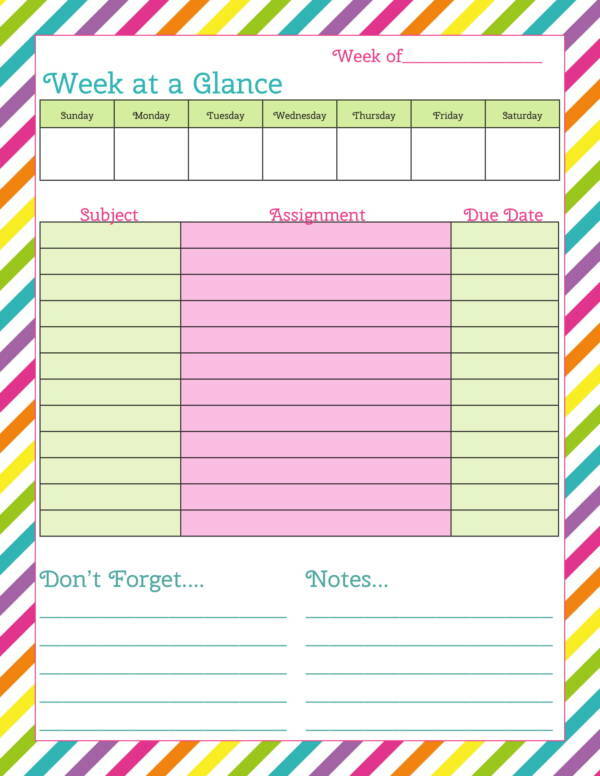 With a study planner template, students will be able to set a specific time period for studying and all of their other tasks and activities. Writing tasks on the template will help them manage their time better. Establishment of good study habits. If you have planned for a study session on your preferred time of day and commit to following that schedule, then you will surely be able to establish good study habits in the long run. 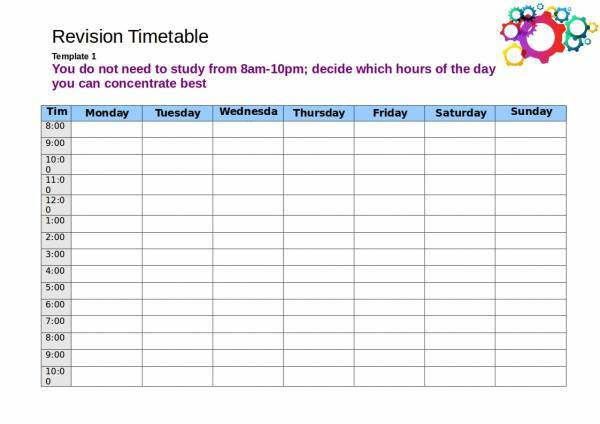 Who knows, you may no longer need a study planner template by that time but you will still be able to manage your time and be productive. Allotment of time for studying. The good thing about a study planner templates is that you can plan and choose the time of day that you think you can best schedule your study time. So if you have it planned and plotted, studying will no longer be your least priority because you don;t have enough time. If you see it, then you will squeeze some time just to be able to do it. Organize school and other related activities. 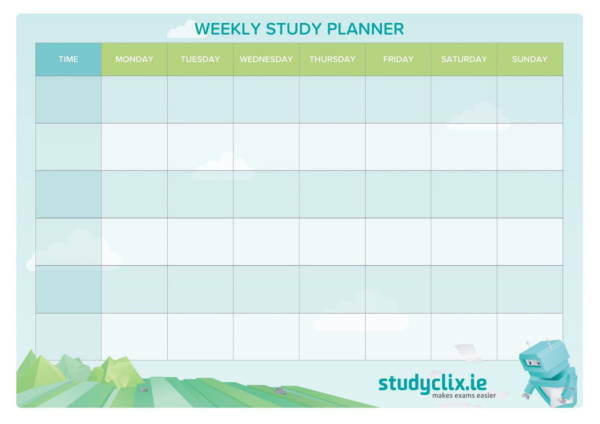 A study planner template is not just used for planning how much time you allot for your studies and when you should study. It can also be used as a to do list, a schedule of your other tasks and activities in school, as well as other chores that you need to attend to. Isn’t that just convenient? Accomplishment of tasks. If you have a list of tasks to guide you on what you must do, then you will surely be able to finish those tasks in time. 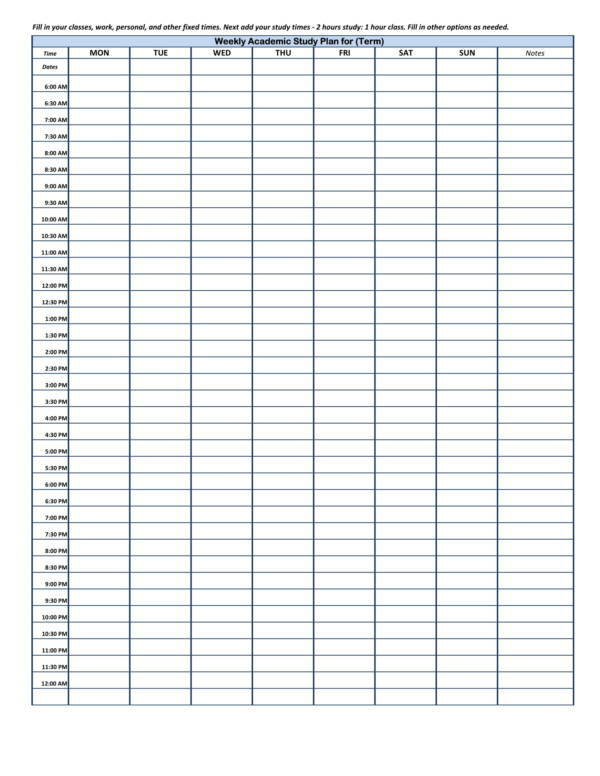 You will also be able to check out your progress just by looking at the same sheet. Keeping track of schedules. 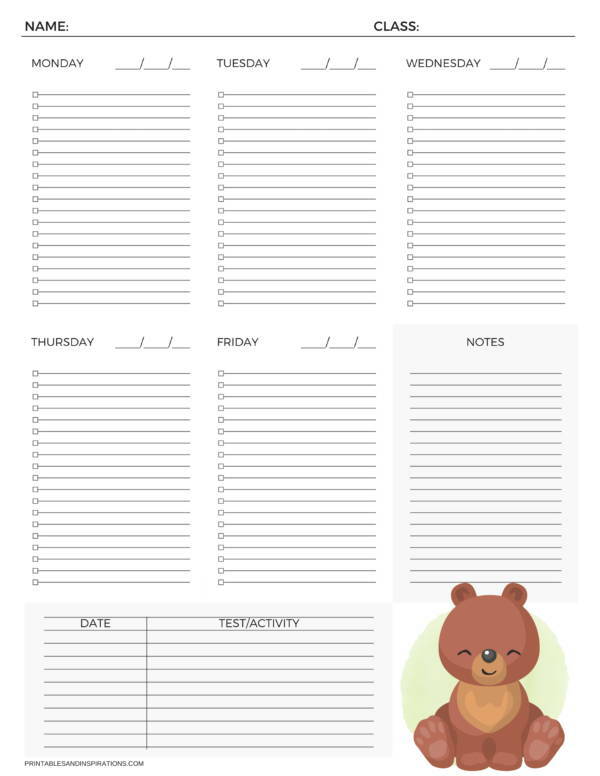 The template is also a good place to write your schedules that way you will have them sync with everything that you have to do, whether they be school related or not. Preparation for quizzes, tests and major examinations. Studying is the best way to prepare for the exams so if you use a study planner template, you will surely have time to study for daily quizzes and tests. Studying for long exams or major exams will also be easy for you because you can study long exam coverage little by little by planning a daily study scheme for that coverage. It is so convenient to have planner that you can use for studying and all other things. This is how useful study planner templates are. You may also want to check out other related articles, like SEO Planner Samples and Templates, Training Planner Samples & Templates, and Personal Planner Samples and Templates. Making a study planner template has always been easy. On top of that, there are also free and downloadable templates available online for your own personal use. This is a very convenient way to get your self planning and become organized. However, if you want to make your own, then you can follow these simple steps that we have prepared on how you can make a study planner template in Word. 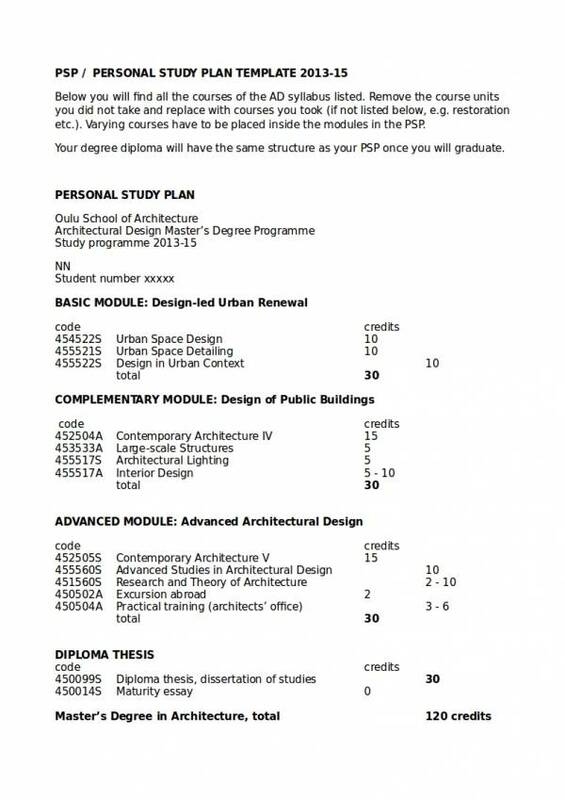 You will first need study planner samples and templates to use as your reference for formatting and designing your work. You will be able to find great ideas that you can incorporate together and add to your planner. If you already have a format and design in mind, then you may skip this step. Make a draft or an outline of your planner. This is how you will initially plan for the format, design and contents of your planner. Make sure to arrange the contents in a nest and orderly fashion. This way you can find schedules and tasks easily with just a glance. When you are done with the draft or outline, proceed with preparing the tools and equipment that you will need to get started. Turn on your computer or laptop, launch the Word application and choose a blank document. Before you start typing in anything on your working page, you first need to set the margin, paper size and paper orientation. Once that is done, add the heading or title of your template. 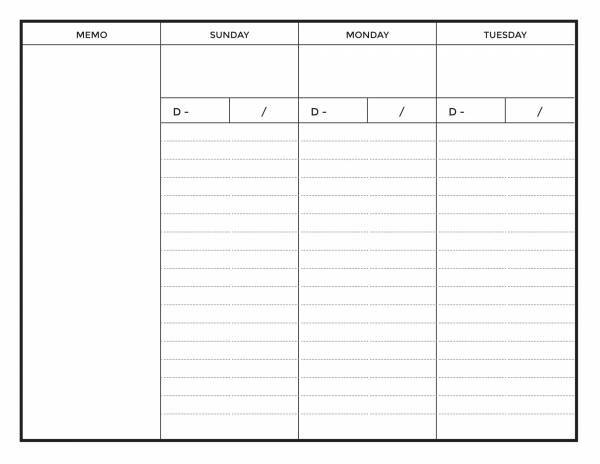 This will serve as an indication that this template is a study planner template. Now get your draft or outline and place it near your screen where you can easily see it and read its contents. Next, transfer the contents of your draft to your working sheet. You can do this one item at a time to make sure that you have all the details transferred into your working sheet. 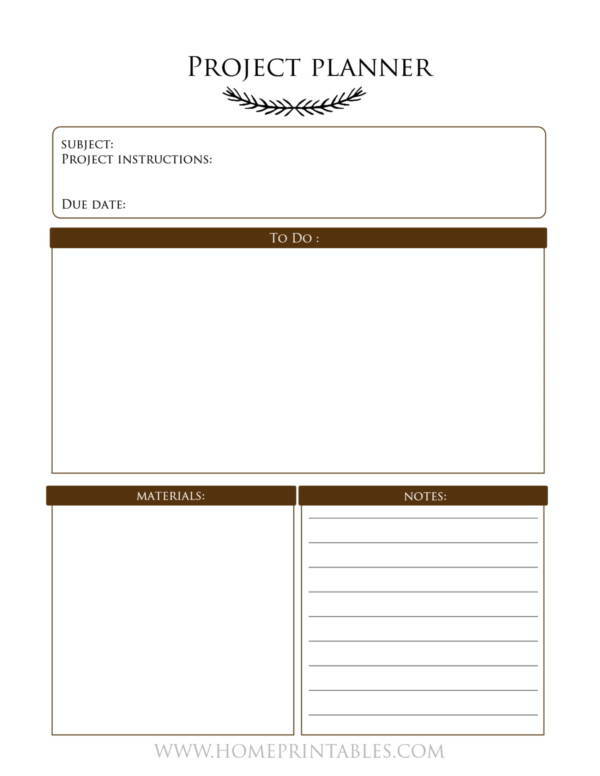 Also make sure that you have follow the format as you add the details of your study planner template. If you have something to add to your template that was not on your draft, then feel free to add them on your working sheet. After transferring everything on your draft to your working sheet, you can design it by changing the font style and font color of your template. You can do whatever you want to do with it. Review your work to make sure that everything you want is in place and that you have not missed out on important details parts and details. If you feel satisfied with your work and there is nothing for you to change, then you may save it by clicking on the File menu. Then select save, choose the location of your choice and type in your desired file name. After successfully saving your work, reopen it by double clicking the file that you just saved and then you may print as many copies of it as you want. You can also keep it for future use. 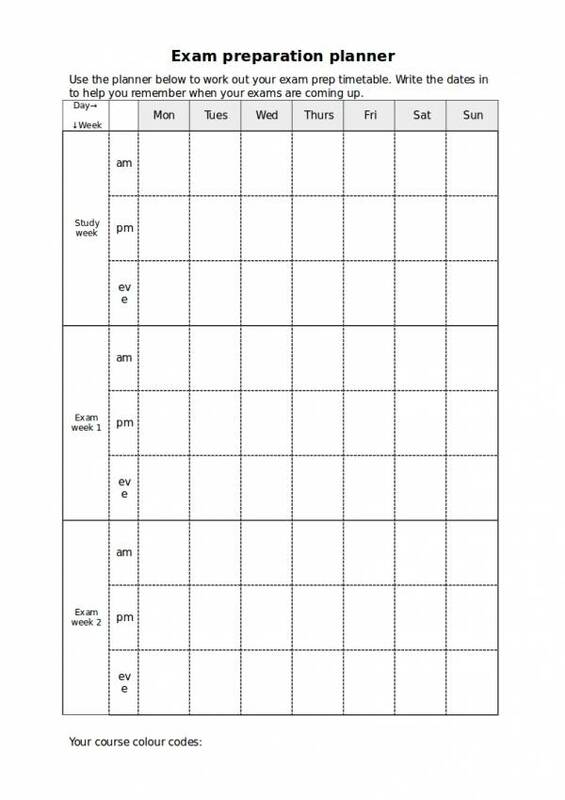 It is really easy to create your own study planner template, especially using the Word application. It is not only easy, but it is also convenient as it allows you print unlimited number of copies anytime you need to. If you would like to see more planner samples and templates, then you can drop by our website anytime. Included in the many titles that we offer are Homework Planner Samples and Templates, Hourly Planner Samples and Templates, and Student Planner Samples and Templates. 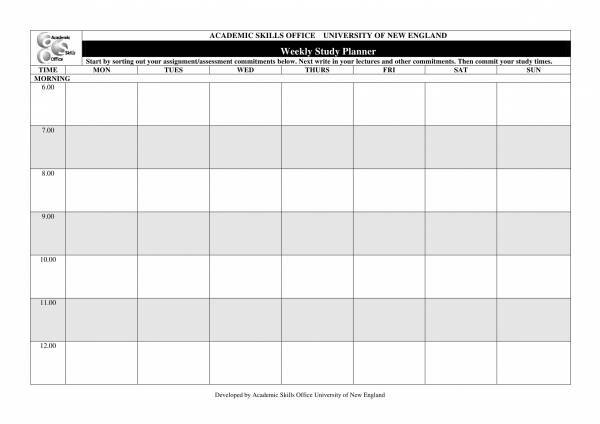 What Should You Include in Study Planner Template? It is important that you know the parts or the components that should be included in your study planner. This is essential for you to be able to create one that is complete and useful. A study planner template does not include that much information so remember what they are will be easy. We have provided a list of it below. 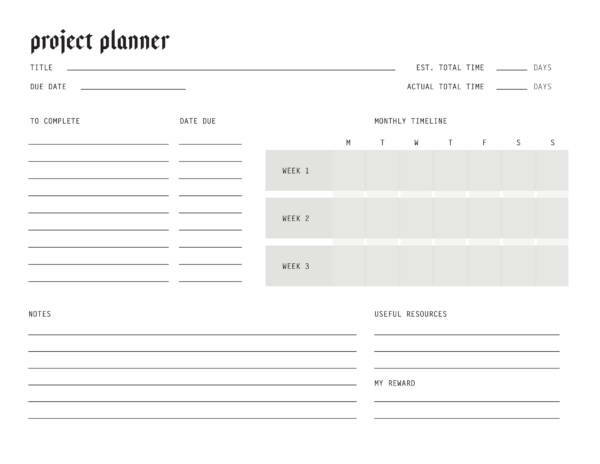 The good thing about planner templates is that they can be designed and customized however the user wants it to be. You can have just the plain type, you can have it themed or you can have it colorful and extravagant. Other related that you may find interesting are Day Planner Samples and Templates, Dinner Planner Samples and Templates, and Appointment Planner Samples. Planners may be easy to use, but most of the time they are very difficult to use. One promise that a planner template offers is that it will help you keep track of a lot of things and allows you to live an organized lifestyle. Although a lot of people had succeeded, there are still a lot of people who failed at it and gave up. So what did the successful people do to actually succeed? Well, here are some tips that will help you find out. 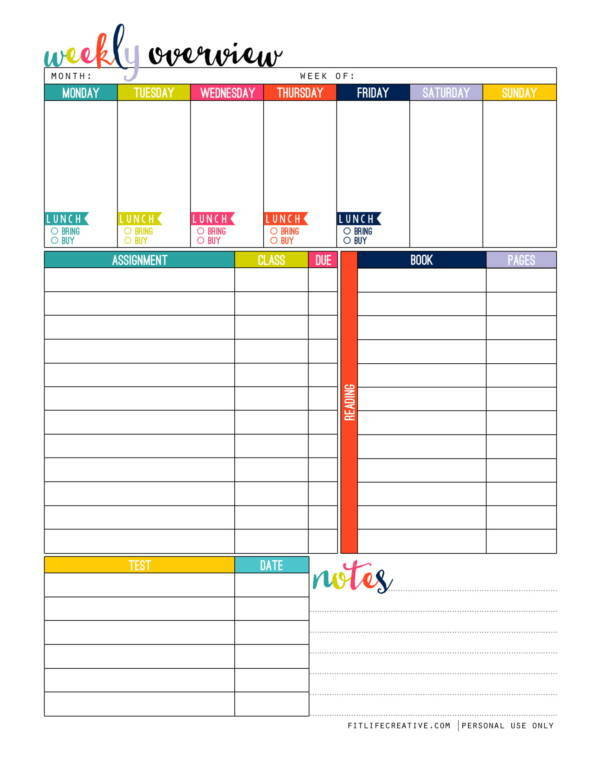 When making your own planner template, make sure that there is enough space for you to write on the details or the tasks on your planner so that they won’t crown in there. If your planner is crowded, then you wouldn’t be interested in opening it to see what you need to do next. Also write legibly and avoid erasures as much as you can. If you really must erase something, then use a correction tap that way your erasure would be cleaner. Make it a habit to open your planner and update it on a daily basis. Mark the tasks or schedules that are already completed. This way you will know your progress and be motivated to work even harder. Follow the schedule of things that you have planned on your planner, otherwise the whole thing of getting yourself organized will not be possible. You need to discipline yourself to do the things that you need to do. Find motivation to be able to complete your tasks. Half completed tasks will ruin all of your plans for the day, and then for the week and then for the whole month. Make sure to complete all of your given tasks the same day you have planned to do it. Promising to finish them the next day will cause your tasks to pile up until you can no longer handle them, which means you were unsuccessful with your planning and time management. That ends our topic about study planner templates and planner templates in general. If you find this article useful, then you may also find other articles interesting, like Weekly Planner Samples & Templates, Free Planner Samples & Templates, and Monthly Planner Samples & Templates.